Nano technology deals with small sizes of physical process going on in the universe. It has to do with sizes less than 100 nm ( nano meter). Oxygen( air) is a physical quantity and the dimensions of its molecules are in the range covered by nano technology. Oxygen is the main participant in healing the ailments either physical or mental and plays the role of nano element in regulating the healing process going on in the body and mind. Swami Ramdev has used Pran (natural air having oxygen) at nano level for Yoga in Pranayam. His nano technology approach has proved to be highly effective in controlling all types of diseases. It has been found that if through different pranayams air intake into the body is manipulated, serious diseases like heart ailment, rheumatism, cancer, mental and many other diseases can be sucessfully treated. The bye products of this Pranayam nano technology are: Love, affection,compassion sensitivity, self restrain and morality. Its process has also helped in maintaining excellent overall health. Oxygen pervades all the living organism in the the universe and also innate in five elements : Earth, Air, Fire, Water & Space. The consciousness and vital force of life only comes through air (Pran) viz : at birth, one needs to be tapped to start breathing. It proves beyond doubt that Oxygen air ( Pran) is the only sustainer when you talk of Life. Other elements such as Nitrogen, Carbon and hydrogen have their part to play but the topmost functionary is Oxygenated air. 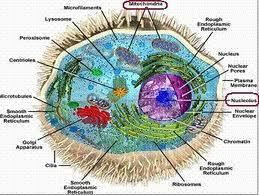 Mitochondria and oxygenated air generate energy for the nucleus of cells in all parts of the body. Because of knowledge based research of Pranayam it can be said that if air (pran) element is fed to the body through certain methods at a definite time in a definite amount with proper thinking, positive change occur automatically. Pran(oxygen) as a nano element starts to act as a complete medicine resulting in a perfect health. A healthy, prosperous and sensitive life of an individual & nation are achievable through the proper use of nano element Oxygen ( pran).